Absentee owners. Single-minded concern for the bottom line. Friction between workers and management. Hostile takeovers at the hands of avaricious and unaccountable multinational interests. The story of America’s industrial decline is all too familiar—and yet, somehow, still hard to fathom. Jamie Sayen spent years interviewing residents of Groveton, New Hampshire, about the century-long saga of their company town. The community’s paper mill had been its economic engine since the early twentieth century. Purchased and revived by local owners in the postwar decades, the mill merged with Diamond International in 1968. It fell victim to Anglo-French financier James Goldsmith’s hostile takeover in 1982, then suffered through a series of owners with no roots in the community until its eventual demise in 2007. 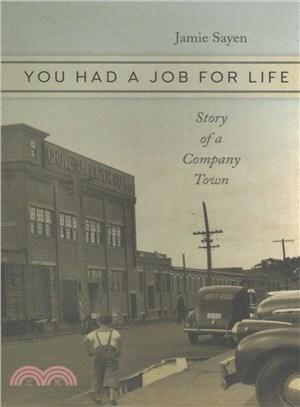 Drawing on conversations with scores of former mill workers, Sayen reconstructs the mill’s human history: the smells of pulp and wood, the injuries and deaths, the struggles of women for equal pay and fair treatment, and the devastating impact of global capitalism on a small New England town. This is a heartbreaking story of the decimation of industrial America. JAMIE SAYEN is a writer and environmental activist living in New Hampshire. He is the author of Einstein in America: The Scientist’s Conscience in the Age of Hitler and Hiroshima.